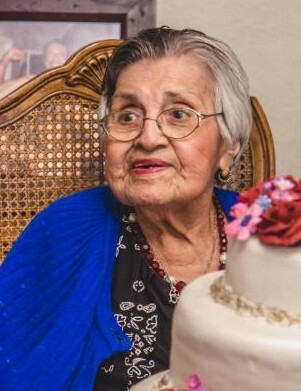 McAllen - Genoveva F. Mata, 96, went to be with her Savior Jesus on March 20, 2019. She accomplished her task of sharing God's love with everyone she met and established a great legacy. She is preceded in death by her husband Nazario Mata and daughter Alicia M. Olivarez. Visitation will be held on Friday, March 22 from 6:00 pm to 8:00 pm at Rivera Funeral Home in McAllen. We will Celebrate her life on Saturday, March 23, 2019 at 1:00 pm at Iglesia Evangelica Cristiana, 2020 W. Jackson Ave., in McAllen. Interment will follow to Valley Memorial Gardens in Mission. All are welcome.